Our proprietary phospholipid ether (PLE) delivery platform was deliberately designed to be coupled with multiple warheads to facilitate both therapeutic and diagnostic applications. Several warheads have been conjugated to allow for the targeted delivery of chemotherapeutics, radiotherapeutics, and molecular diagnostics. Our product candidates are built upon this cancer cell-targeting delivery and retention platform of optimized Phospholipid Drug Conjugates™ (PDCs). Our PLE platform provides selective delivery of a diverse range of oncologic warheads to cancerous cells, whether a hematologic cancer or solid tumor, the primary tumor, or a metastatic tumor and cancer stem cells. Our PLE platform takes advantage of a metabolic shift utilized by all tumor cell types in all stages of the tumor "cycle." This allows the PDC molecules to gain access to the intracellular compartment of the tumor stem cells, primary tumor cells and metastatic tumor cells and for the PDCs to continue to accumulate over time, which may enhance drug efficacy. 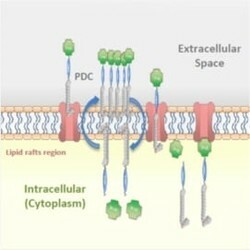 The PDC's mechanism of entry does not rely upon specific cell surface epitopes or antigens as are required by other targeted delivery platforms. 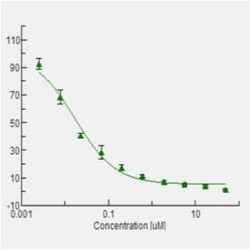 Specific cell surface epitopes are limited in number on the cell surface, undergo internalization and cycling upon binding and are not present on all tumor cells of a particular cancer type. 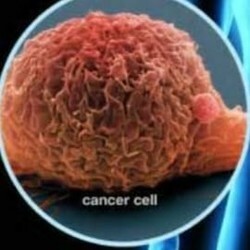 This means a subpopulation of tumor cells will always remain. PDCs can target 100% of the tumor cells of a particular cancer type. PDCs offer the potential advantage of having the ability to be conjugated/attached to molecules in numerous ways, thereby increasing the types of molecules that can be targeted and delivered via the PDC. Our proprietary product pipeline is comprised of multiple PDCs developed to treat a broad range of cancers. These next-generation cancer treatments aim to deliver greater efficacy and less side effects improving patient outcomes. Review our published posters and publications to get a deeper understanding of our PLE platform technology. We aim to balance internal research and product development with academic collaboration and corporate partnering to advance our PLE technology platform and promising pipeline of oncology product candidates.